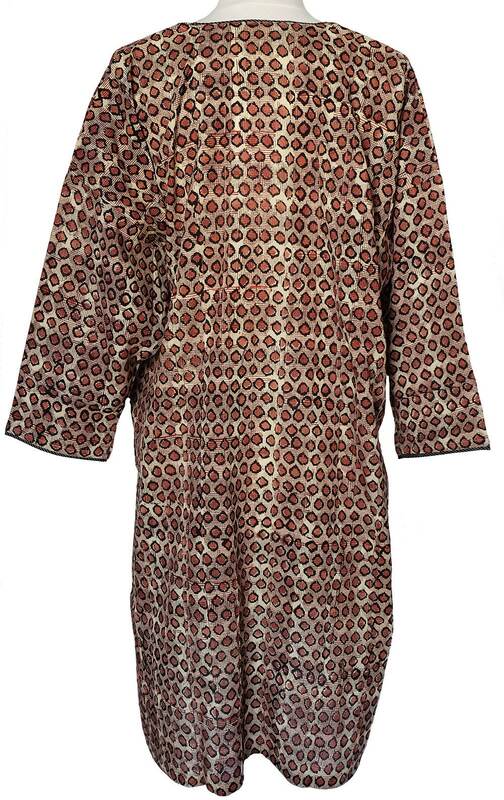 Perfect easy living kaftan, a great addition to any wardrobe, made of 100% cotton that has been printed with carved wooden blocks in an attractive design. 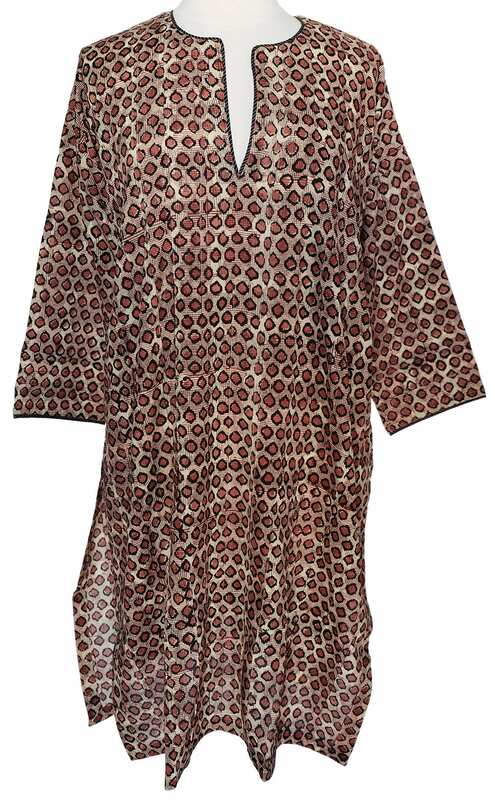 The oversized free style kaftan is ideal as a beach cover up or an loose top over leggings. 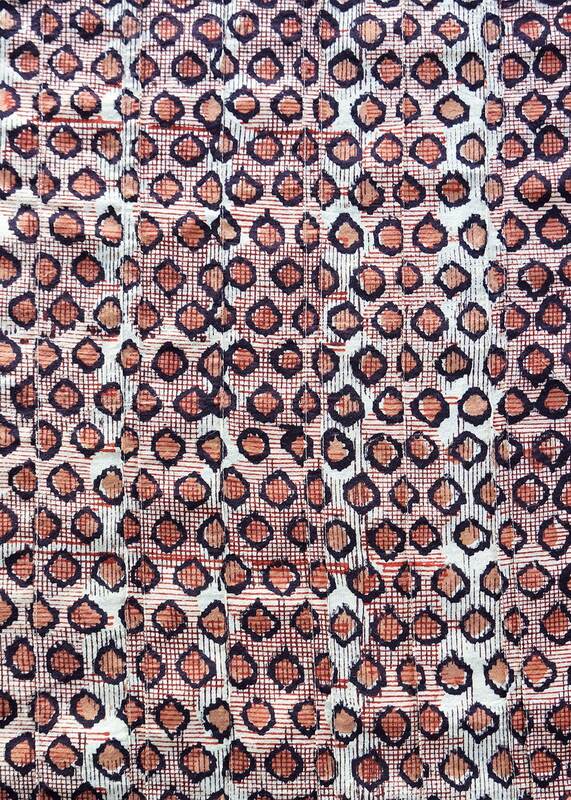 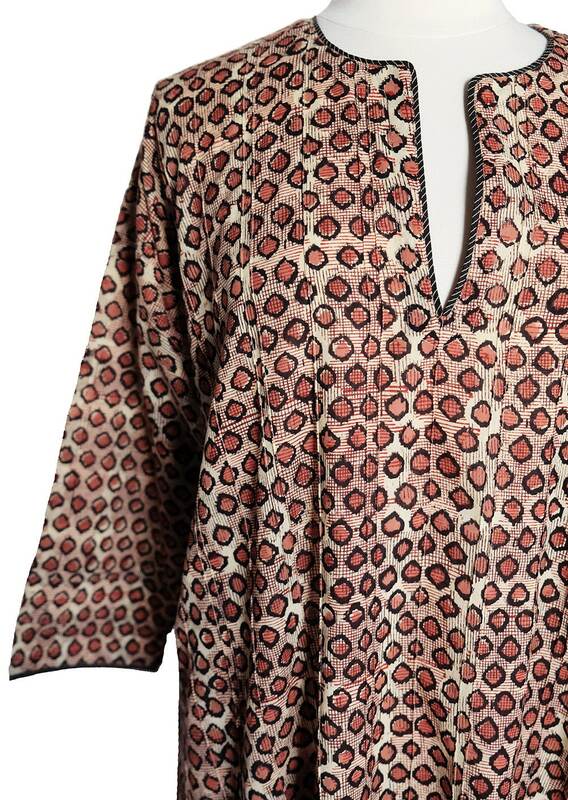 The kaftan is pin tucked throughout with additional piping around the neck and cuffs, 3/4 length sleeves with 18" side splits, made of very light weight cotton.